The month of September has been renamed to Maptember this year because of the number of geographic conferences that are going on. With the thought of a month of maps ahead, I decided to make a new map: a Manx language map of the world. 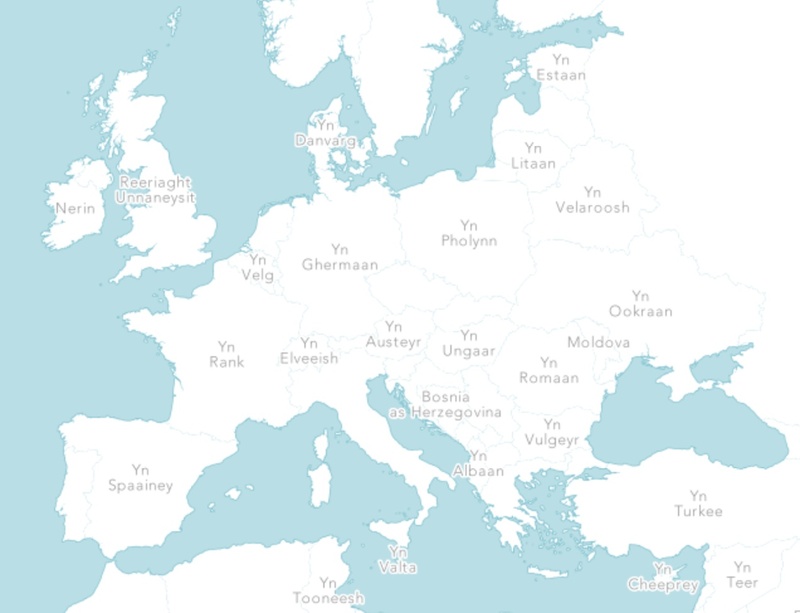 The map - known as a kaart çheerey in Manx - displays continents, countries and oceans that have been documented on the Manx language Wikipedia and visualises them as a browsable map which can be accessed at kaart.im. My great grandparents were some of the last native speakers of the Manx language, and the language lost its last native speaker in 1974. In an effort to re-introduce the language to the island, Manx has been taught in schools on the Isle of Man since at least the early 1990s. Some children on the island are brought up as native Manx speakers (in addition to English) at the only Manx language school, Bunscoill Ghaelgagh. Manx translations can often be seen on road signs and other official signage, and can be heard on radio broadcasts and at the annual Tynwald Day ceremony. I learned a bit of Manx at school, though not much of it has stuck with me. Because of that, I struggled a little to find all the names I wanted from the Manx Wikipedia, and I ended up simply searching for each country and seeing what was returned as the top result (or near the top). 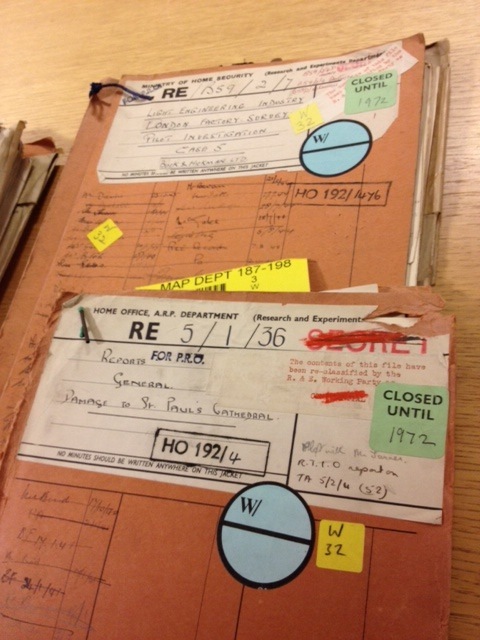 Often the names resemble the English version - especially if read out in a bit of a Manx accent - so it was usually obvious which article referred to the country. For example, Germany becomes Yn Ghermaan, Finland becomes Finnlynn and Canada becomes Yn Chanadey. Some smaller island nations didn't appear to have articles about them, but that there was an article for most countries in the world still struck me as quite impressive, for a language that is spoken fluently by such a small number of people. The cartography on kaart.im could do with some tweaks still, but hopefully the map will be useful for anyone curious about this language from the heart of the British Isles. If you see any mistakes on the map, please let me know in the comments. I'll likely be tweeting geographic things more often than usual this month @dankarran and may blog a little about the Society of Cartographers and FOSS4G conferences that I'll be attending as well. This week I've spent a bit of time trying out the Ordnance Survey OpenSpace web mapping API for one of the projects I'm working on, and thought it'd be good to share some initial thoughts on it. 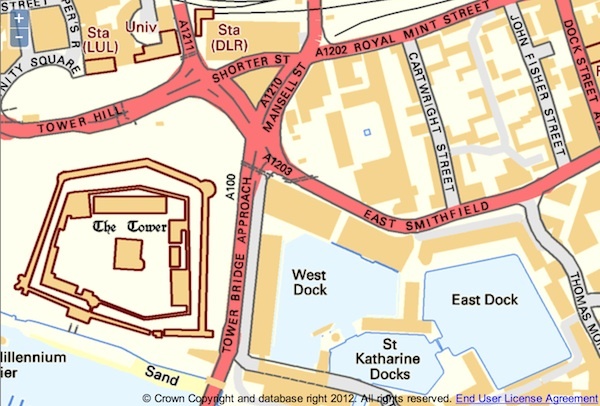 OpenSpace provides free access to a selection of Ordnance Survey maps for use in web projects. 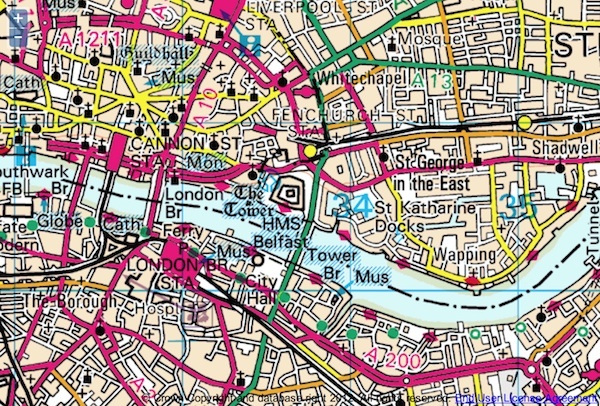 It was first released in 2008 as a way for non-commercial projects to use OS mapping, but has since widened its remit to allow commercial services to use the maps as well. For a number of reasons, the OpenSpace API is different to other APIs I've worked with, and I think most of those differences are due to the fact that the API is produced by a national mapping agency rather than an international community or a corporation with international interests. 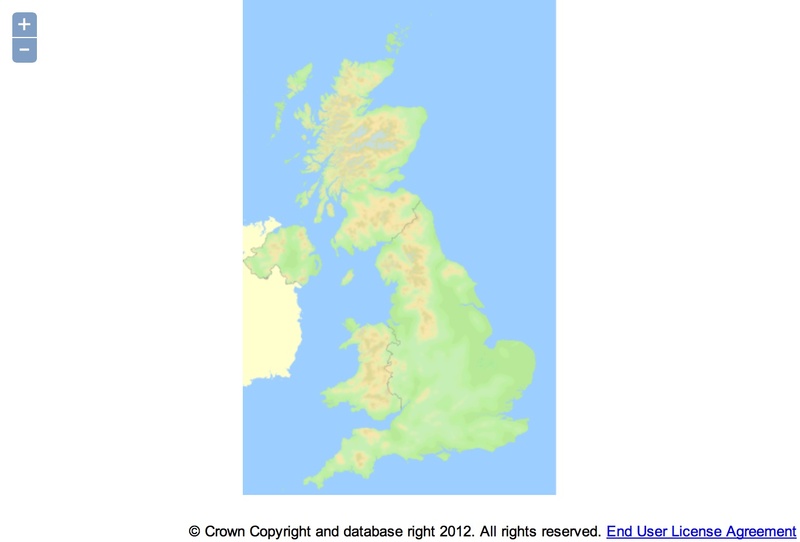 In contrast to the other APIs that usually have at least some level of international mapping, you see at first glance with the OpenSpace overview map that it is focused solely on the United Kingdom. 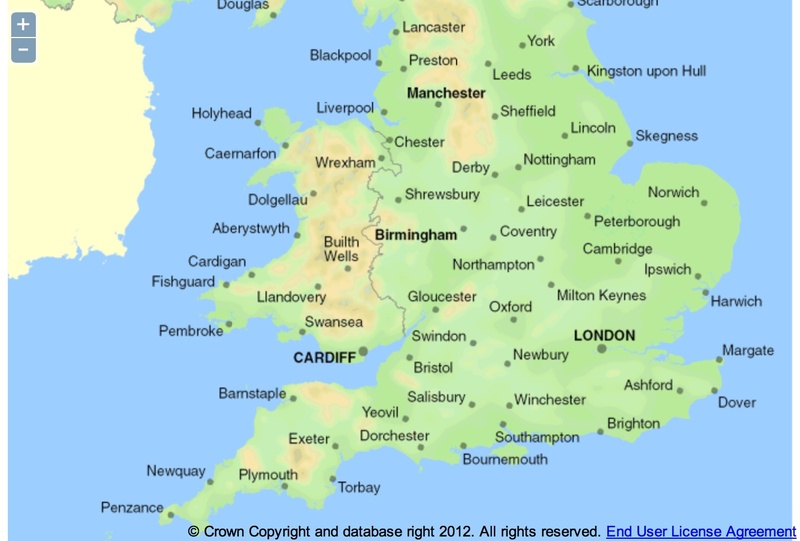 This initial map, showing a shaded terrain view of the UK, ends just west of the border between Northern Ireland and the Republic of Ireland, leaving the west coast of Ireland off the map completely. The rest of the world is just white pixels (no dragons!). Looking at this map, I can't help but feel that filling the space surrounding the UK with a bit of sea and at least basic land outlines would help with initial impressions. 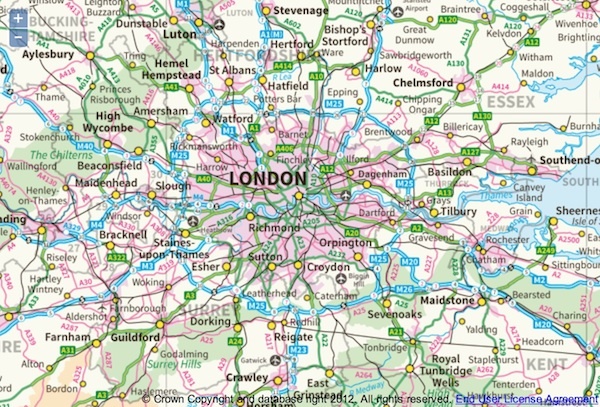 As you zoom in to the map, you get served an OS map product most suited to each zoom level, from overview maps all the way down to maps that show simplified building outlines (see the list of layers for details). Each of the map products usually shows for two or three zoom levels before switching to a more appropriate one. As the maps have been built over the years as discreet products, each one has its own distinctive style that was designed for a particular purpose (e.g. 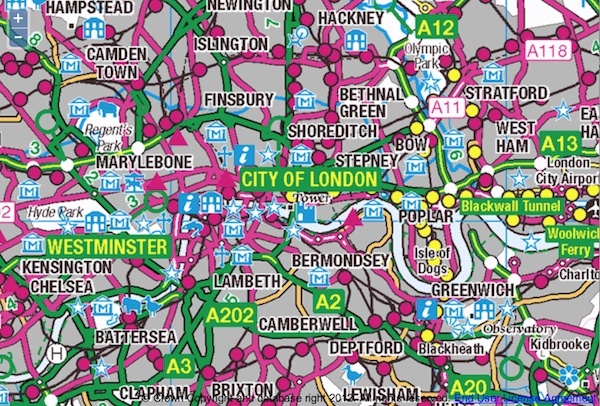 navigating the motorway network, finding your way around cities, or walking in the countryside), and was usually designed to be used as a print product rather than on-screen. Some of the newer products and layers in the OpenSpace API have been built specifically for the digital age as maps come to be used differently than in the past. To me, the overview layers don't feel like they have been thought out as well as you might expect from a national mapping agency, with place name labelling appearing on the second and third zoom levels in a way that doesn't look very visually appealing, along with the cut-off edges that I mentioned earlier. Zoom in beyond those layers though, and you see the nice MiniScale map which is, as described by the OS, a clear and uncluttered national map. After a couple of levels of the MiniScale map, you switch to the 1:250,000 map that's designed to show towns, major roads, railway stations, and some places of interest. 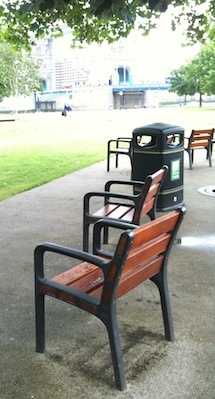 In London and other cities it can be quite overpowering, but elsewhere it can give a good overview. The 1:50,000 map was designed as a printed map for leisure use. It looks good in cities and is like a work of art in rural areas. It's the last of the print-focused map layers before switching to map products that were designed specifically for the web. VectorMap District is a background map that you can overlay your own information on without it being drowned out by bright colours and too much information. The StreetView layer isn't as subtle but also leaves enough space to visualise your own information on top of. 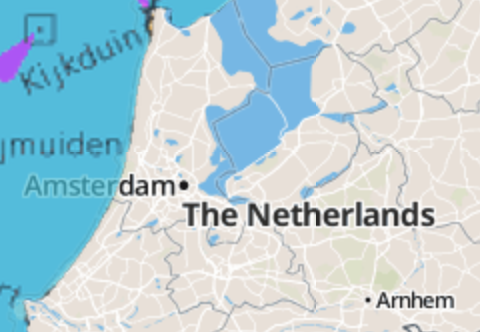 Overall, there's a lot of variation between each of these map products, so combining them into a zoomable map doesn't create the seamless user experience that other online maps aim to. This may be something that improves over time, but as a set of products that are available freely as part of OS OpenData they don't directly make money for the Ordnance Survey, so progress may be slow. I'm still planning to use OS OpenSpace for the project I'm working on, but I'll likely be using only a few of the more detailed layers that are suitable for background mapping, and custom building some less detailed, lighter maps for the smaller scales. If you want to browse the OpenSpace maps, I've put together a quick OS OpenSpace map page over on the Geobits site. 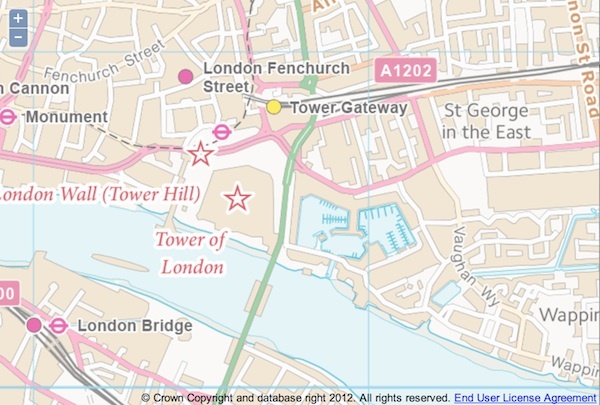 Earlier this week Google announced that their Map Maker product was being launching in the UK. Map Maker lets users make changes to Google's popular Maps service, helping Google improve their map data with the assistance of the crowd. 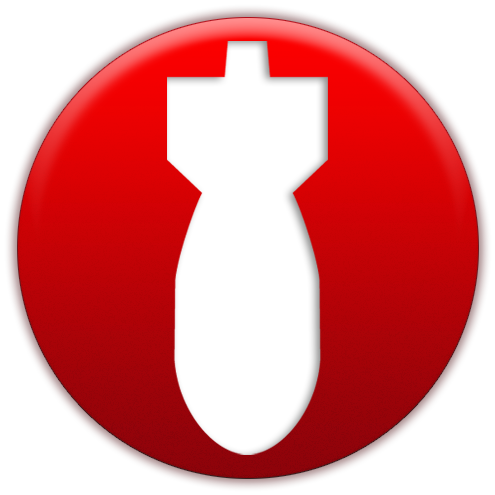 The product has been around since 2008, originally available only in countries that didn't really have any map data, and later expanding into countries that already had good coverage but could be improved with additional information. Map Maker works in a similar way to the OpenStreetMap project (which started around 2006) in that they both let people edit the details on their respective map, but there are some noticeable differences between Map Maker and OpenStreetMap. As probably the most widely used map in the world, Google Maps has a large number of people looking at their maps for local information. Most of them have local knowledge about an area, and a very small percentage of them may want to help improve their local maps for their own benefit and for others. On the other hand, OpenStreetMap's user base is much smaller (though has been growing quickly for years), and for the most part consists only of those people who want to help build the maps. Both Google Maps and OpenStreetMap can be embedded into other websites, but the end users of those sites are unlikely to care about making updates to the map, it's only people who use Google Maps or OpenStreetMap directly who'd do that. Editing a place in Google Maps means that your information is currently going to be seen by many more casual users than if you were to edit OpenStreetMap, but with the inclusion of OpenStreetMap data in many other projects (like Apple Maps, MapQuest, MapBox) there are also massive advantages to making sure the information is up to date in there too. If you're promoting your business, you should definitely make sure to add it to OpenStreetMap as well. With any service where you're giving lots of unknown people a chance to share information that is visible to the public, you're likely to get people vandalising that information, whether it be accidentally, for a bit of fun, or for any other reason. Google Map Maker has a moderation feature which stops all edits being added to the map automatically, and only lets them through after they've been vetted by trusted users. 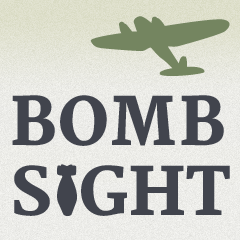 OpenStreetMap doesn't have up-front moderation, but has tools in place to let users keep an eye on areas they know. Both approaches have their merits and disadvantages. 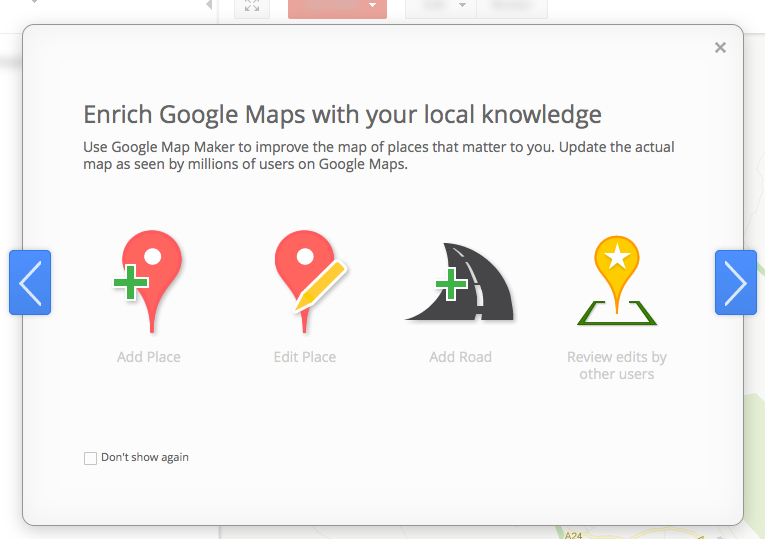 The interface to Google Map Maker is designed to be easy to access when you're looking at a map (look out for the 'edit in Map Maker' link in the bottom right corner of the map) and makes it as simple as possible for people to add new places, edit existing ones (accurate business information is what Google is hoping for here), add roads, and review other peoples' edits. The interface is perhaps a bit more intuitive than OpenStreetMap might be for a new user at the moment, but some of that is because it has to cater for less technical users. OpenStreetMap is making efforts to improve this initial user experience too though, with improvements to the website and in particular the development of the new iD editor which aims to make editing simpler. Both Google Maps and OpenStreetMap can be embedded into your own website to show the location of your business, or to overlay whatever other information you'd like to display. With Google Maps you can change some of the styling, and choose to hide some of the information (with some technical know how), but you never have full control over what you're showing. If you want to show where your business is without also promoting your competitors, you're out of luck. With OpenStreetMap however, you can have complete control over what you show and what you don't, especially if you use a service like MapBox to customise your maps, or download any one of a number of opensource tools to build your maps exactly as you like. Any information that you add into Google is owned by Google, and shown on a service that could in theory be withdrawn at any time (see Google Reader). Any information you add into OpenStreetMap is licensed freely for people to reuse as they like, so if you're adding information about your business into OSM, it's got the potential to be promoted much more widely than if it's just in Google Maps. The information in OSM will always be available to use as it's not dependent on any one commercial entity. Personally, I'm happy to add some information into Google Maps, such as if I'm helping to promote a local business, but I'll also make sure that information is mirrored (and bettered) in OpenStreetMap. If I'm going to add in any sizable chunk of information, I'll just add that into OpenStreetMap as adding it into Google would be doing work for them for free without being able to reuse that information myself. 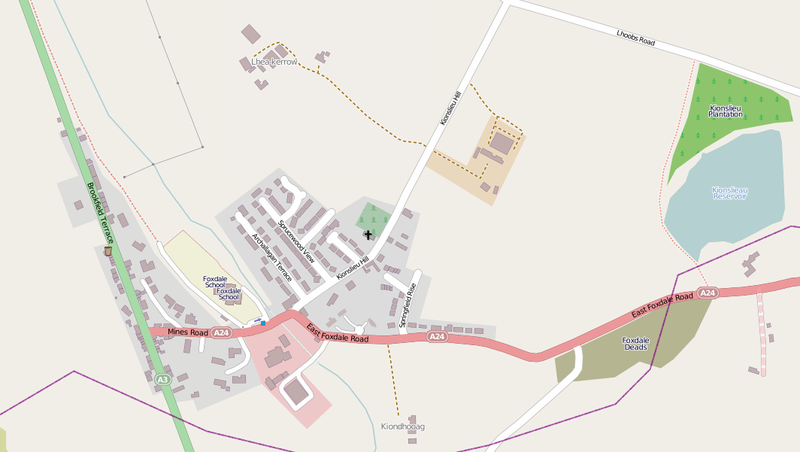 As an example, the maps below show Foxdale in the Isle of Man, in both Google Maps and OpenStreetMap. I help out with the online bits for some self-catering farm cottages in the village, so I've added their location and a bit of detail around the farm into Google Maps, but if you look in OpenStreetMap you'll see a lot more detail for the whole village as well. If this post has inspired you to add your business information into OpenStreetMap, check out this quick guide to adding your first point. This book is a great introduction to, and overview of, the OpenStreetMap project, with plenty of detail and pointers to further information, all of which is sure to get the reader hooked in the realm of open geodata. 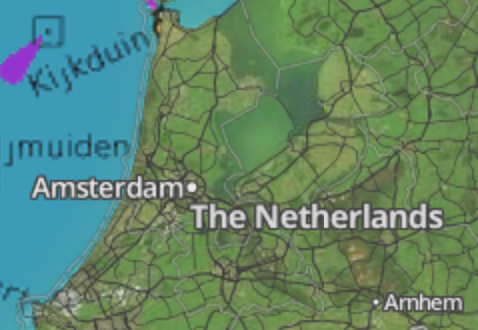 As an open source community-oriented project, there is a lot of information already available on the OpenStreetMap wiki website, but it can be disjointed at times, and difficult to get a good overview of the project. This book provides a good alternative, condensing all the information you need to start updating the map, using the map data on GPS devices, and also gives plenty of examples to developers keen on using the wealth of map data in their own projects. The chapters of the book are broken up into small enough chunks that readers can easily dip in and out, while also providing plenty of information to refer back to during mapping. The first half of the book is geared towards those readers who want to get started mapping their surroundings and contributing geographic information to the OpenStreetMap project. The second half goes into more detail about the technical aspects of OpenStreetMap, introducing the data API and other ways of accessing and modifying the data for use in third party projects. Throughout the book, readers are given links to the OpenStreetMap wiki for further information about topics, should they be interested in finding out more. This book would be of interest to a range of different audiences, from walkers and geocaching enthusiasts keen to explore and document their surroundings, to GIS users wanting to know more about emerging sources of geodata, and web developers who are looking for maps or a new source of information to use in their projects... or anyone else who has an interest in geography and how emerging technologies are helping develop the subject. I have spent a bit of time this afternoon looking into QR codes, and how they can be customised to incorporate logos or other information. I think the first I saw of this trend was a BBC logo embedded into a QR code, but numerous people have tried it out, such as these ones from Japan, where the QR code has already been used much more widely than in the UK. If you haven't come across QR codes before, they are much like barcodes, but have the ability to store much more information in them. Perhaps the most common use is to store a website address in them. When scanned with a mobile app like Bakodo or the Google app for the iPhone, the handset can load up the website it points to, and instantly give the user more information about the tag they have scanned. These 2-dimensional barcodes have a tolerance for errors, meaning that bits of it can be missing or covered up, while still being able to be read and used. That's quite handy, if you want to make them look a little more interesting and include a logo or something to attract people's attention to them. Even better, it's as simple as generating a normal QR code from the Google Charts API (e.g. one for dankarran.com), downloading it, opening it in your favourite graphics editor, and inserting your logo. Check to make sure your scanner can still read it, tweak it if necessary, and you're set. Set the error correction level to the highest value possible (chld=H in the chart URL) and keep your URL as short as possible to give you most flexibility around your logo and less chance of it breaking barcode scanning applications. 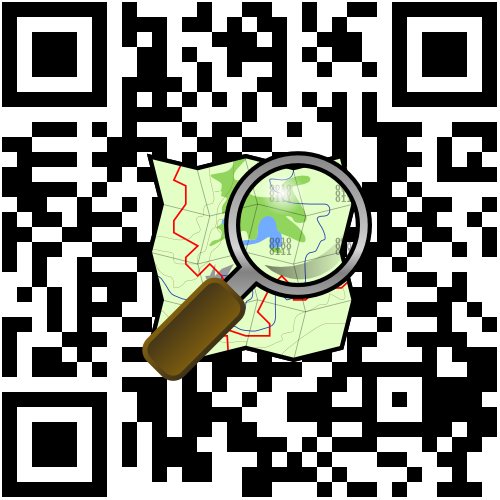 QR codes could be quite useful for tourist information signs, to give people quick access to more information about the local area, a map of local amenities, or directions to whatever they are looking for. Most phones that have the ability to recognise a QR code probably also have a GPS or some other form of positioning built in, which could help them find their location on the standard Google Maps, but doesn't necessarily help them get at other detailed information, perhaps provided by the likes of OpenStreetMap or provided by local information sites or the local government. Using these codes to point to targeted local information could be of great use to visitors (as long as there's a note to tell them how to make use of the QR code). 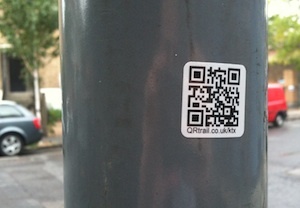 A QR code like the one at the top of the post could be useful for someone standing at a tourist information point in the Sea Terminal in Douglas, Isle of Man, as it takes them to a map centred on that point. The site it points to doesn't do much more than providing maps of the Isle of Man at the moment, and doesn't work too well on a mobile yet, but could (and hopefully will, before too long) provide much more information that could be of use to visitors. 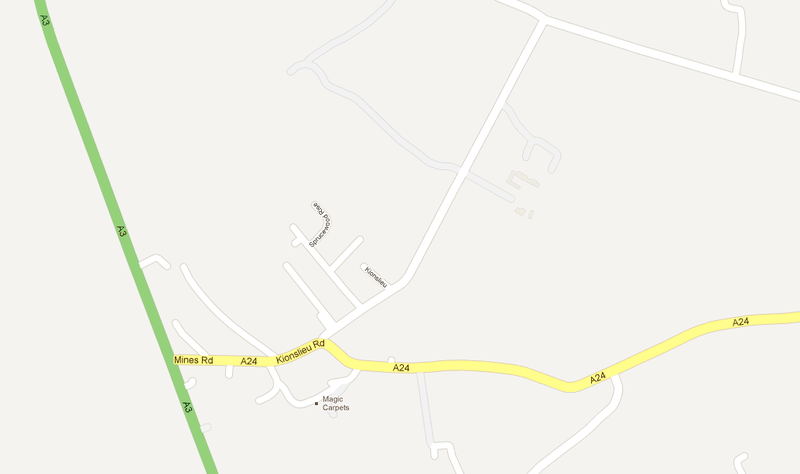 Similarly, the one to the right points to a map of Douglas on the OpenStreetMap site. I haven't seen many QR codes in use yet, but hopefully they could become much more widespread in coming years. Could you see yourself making use of codes you found out on the street? 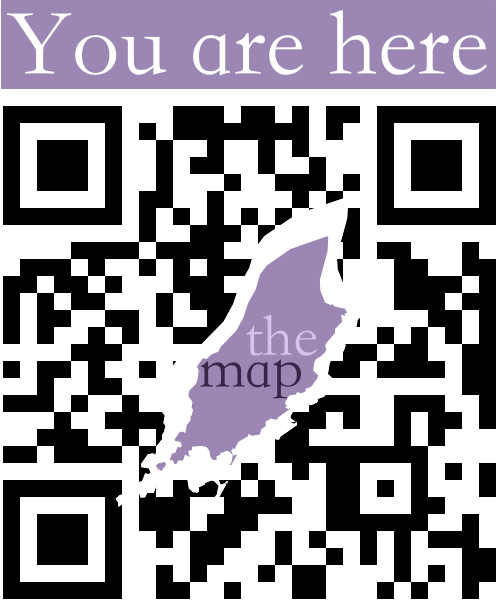 Last week I launched a section on themap.im to show a gallery of maps of the Isle of Man. The aim is to create localised maps for different towns and villages around the Island, so for example you could bookmark a map of Castletown, Colby or Cregneash, or any other place listed in the gallery. The maps got some great coverage with a BBC Isle of Man article, which has generated a good amount of interest in the site. The more people the map is available to, the sooner we can iron out any issues in the map data. There may be the odd typo, things accidentally added in the wrong place, or things that are missing completely, so all feedback is welcome. For me, building this site is a great opportunity to use Drupal to help promote OpenStreetMap data, using the OpenLayers mapping library (and Drupal module) to display the maps on the site, and I'm looking forward to building the site out further.